WINDOW CLEANING: Our window cleaning service is an all inclusive service. 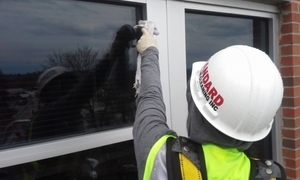 Along with the glass, we will clean the window sills, and clean any screens your windows may have. We are detailed and insure we do not get any cleaning solution on the floor. GUTTER CLEANING: Our gutter cleaning service includes clearing out of all debris, and flushing out of all gutters. We test that all the downspouts are clear and free of clogs. 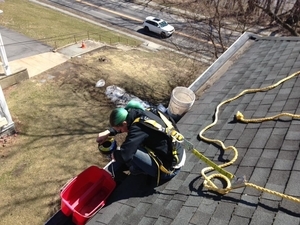 We will also tighten up any loose or sagging gutters. Note: There is a $100 extra charge for cleaning gutters with covers or helmets. 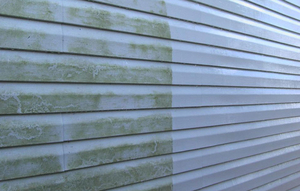 POWER WASHING:We offer several power washing methods for all of your exterior surfaces. We aim to clean your home’s exterior using the best-suited cleaning method for every specific area of your home. Soft washing for your home’s more delicate exterior surfaces such as dryvit, stucco or vinyl siding. Pressure washing for the asphalt or concrete around your home.